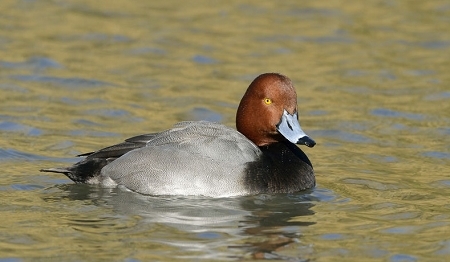 Red Head Duck Pairs are shipped as young adults and flight ready (unless you choose to have them pinioned). You will receive one male and one female adult red head duck. Ordering a quantity of "1" will add one male and one female to your order. Red Head ducks a hardy species laying blueish colored eggs, known to be very easy to raise. 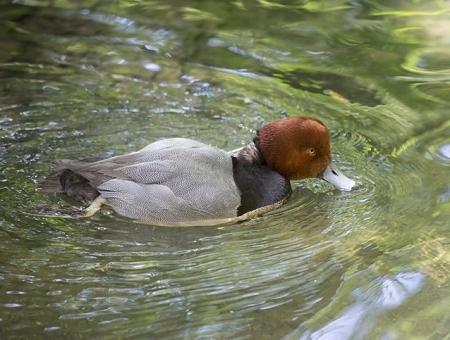 Red Head ducks are highly sought for their unique coloring, as they are an exotic looking breed as a diving duck.